In this age of social media attacks, constant distraction, and rampant corruption, a high emotional intelligence quotient, or EQ, is more important than ever. 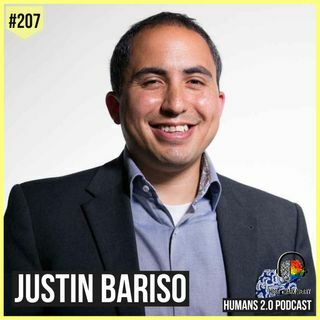 Justin Bariso brings the concept of emotional intelligence up to date and into the real world, combining scientific research with high-profile examples and personal stories. - examine one of the most famous business stories of all time--Steve Jobs's exit and return to Apple--from a completely ... See More different angle...and reveals a major lesson in the process. - learn how to control your emotional reactions--and see how a modern day "miracle" brought this ability to life. - learn how to break bad habits and escape "emotional hijacks." - see the power of emotional influence in action--illustrated through powerful stories from the FBI's former lead kidnap investigator, a famous singer, and many more. - discover how emotional intelligence can be used for evil--and how you can protect yourself. Learn how to make emotions work for you, instead of against you. That's EQ Applied. Justin Bariso is an author, speaker, consultant, and one of Inc.com's most popular columnists. His thoughts on leadership, management, and emotional intelligence have been featured by TIME, CNBC, and Forbes, among others. He has been recognized repeatedly by LinkedIn as a "Top Voice" in management and workplace culture. Raised in a multicultural environment, Justin learned to see the world through different sets of eyes. He was fascinated by the way a single news report could inspire very different emotional reactions in others, based on factors like their age, background, and upbringing. After spending a decade in management for a major nonprofit, he moved to Europe and began his own consulting agency, where he's worked with a wide range of companies from small businesses to Fortune 500 companies. Today, Justin focuses on helping others harness the power of emotion for good.